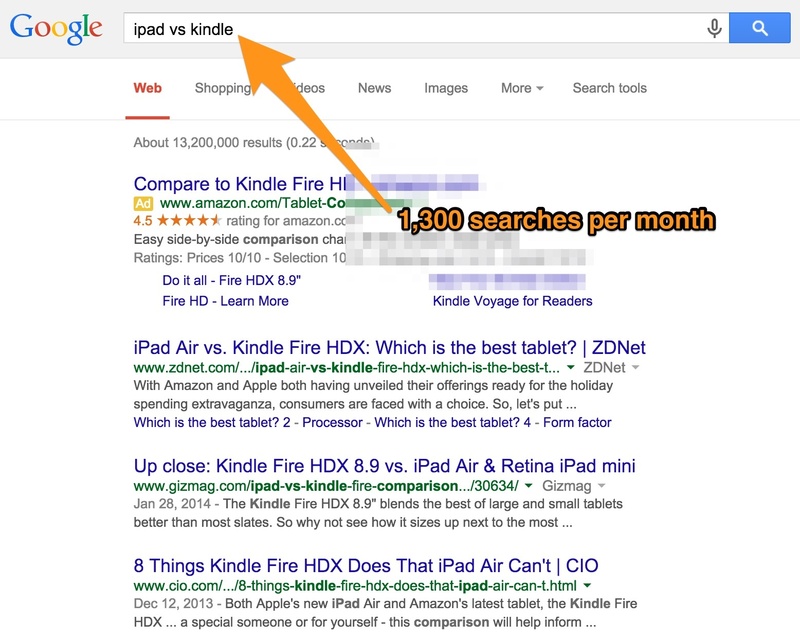 Over the last year or so, I’ve noticed that this “versus” (or “vs.”) obsession applies to Google-searching. People love to compare things in order to find a winner. This particular human interest could be a good opportunity for your website and play a role in the rest of your SEO strategy. Here’s an analysis of what the heck I’m talking about and how it works. What The Heck Are “Comparison Keywords”? Since we all do this ourselves as searchers, wouldn’t it be a good opportunity to capitalize on from an SEO perspective? I’ve started referring to these types of phrases as “comparison keywords,” but you can call them whatever you want. The idea behind this concept is that people are constantly comparing things within your industry, and they are using “vs.” to connect the two phrases. The people who search these phrases could be good web visitors and leads for your company. So, how could this work for your business? Do all of your personas use one of a handful of software systems? As a marketing agency, we typically focus on the same buyer personas as the marketing software companies out there. (For example, we target the same people HubSpot targets.) Is there a similar situation in your industry? 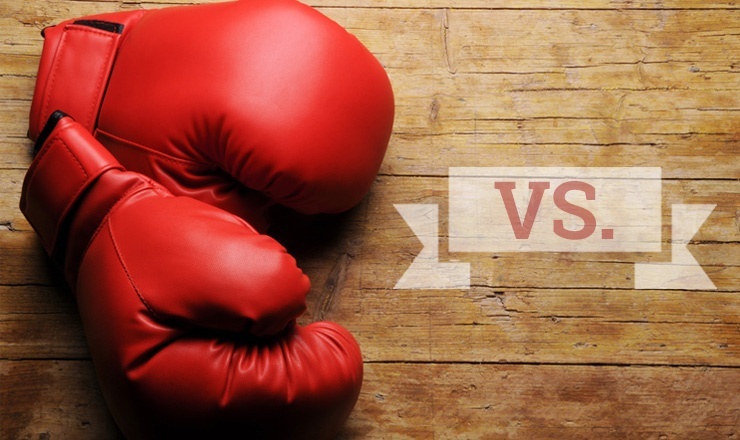 If you’re in sales consulting, a comparison of CRMs might be a good pick. Who are your two most well-known competitors? If you’re bold, you can talk about some competitors. Naturally, people who are looking to compare your competitors could be a good fit for your company. I’ll leave the approach up to you. Do you have a store or ecommerce site where you sell a variety of products? For B2B, are you a reseller or distributor? If you’re a distributor or a reseller of any kind, comparing the products you hold may be a good opportunity to rank. Are there a few popular trade shows in your industry? Maybe this year, they’re looking to pick one. Try writing a post about their options. Are there a few types of standards or protocols your industry runs on? Are there a handful of terms or categories of products that everyone in your target market uses? Can you think of other tactics, frameworks, or concepts in your industry? While you’re brainstorming ideas for your company, we’ll move onto the next phase: why it’s highly likely you’ll be able to rank for these comparison keywords you find. Nearly all of these phrases will have low competition in Google results. Thousands of sales consultants will talk a lot about “sales tips,” but only a handful will likely compare Salesforce and Zoho. You likely won’t rank for one side of the comparison (“SaaS”) or the other (“PaaS”), but you likely will rank for the comparison (“SaaS vs PaaS”). By writing a blog post about one of these phrases, you’ll help your target audience analyze something in an interesting format. 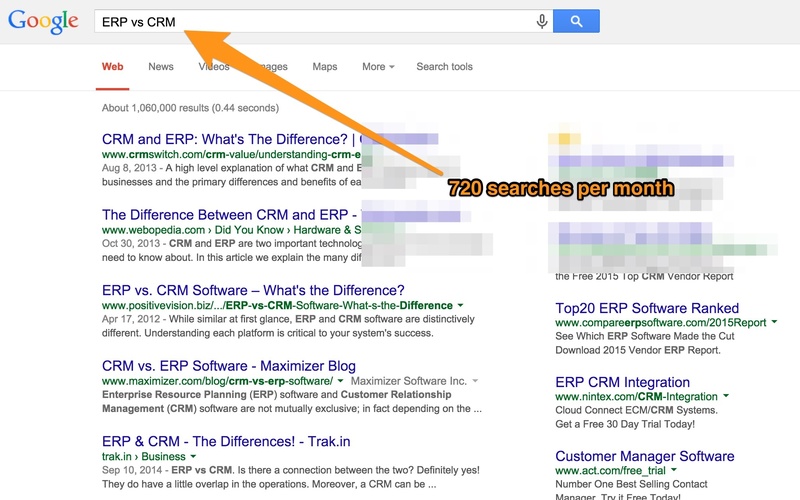 Google wants to see groups of keywords rather than just one keyword within a web page. By writing a comparison post, it’s likely that you’ll naturally be targeting two related phrases, and you’ll rank for a number of similar phrases. Google lets you find these opportunities easily. I’ll talk about how to do it next. 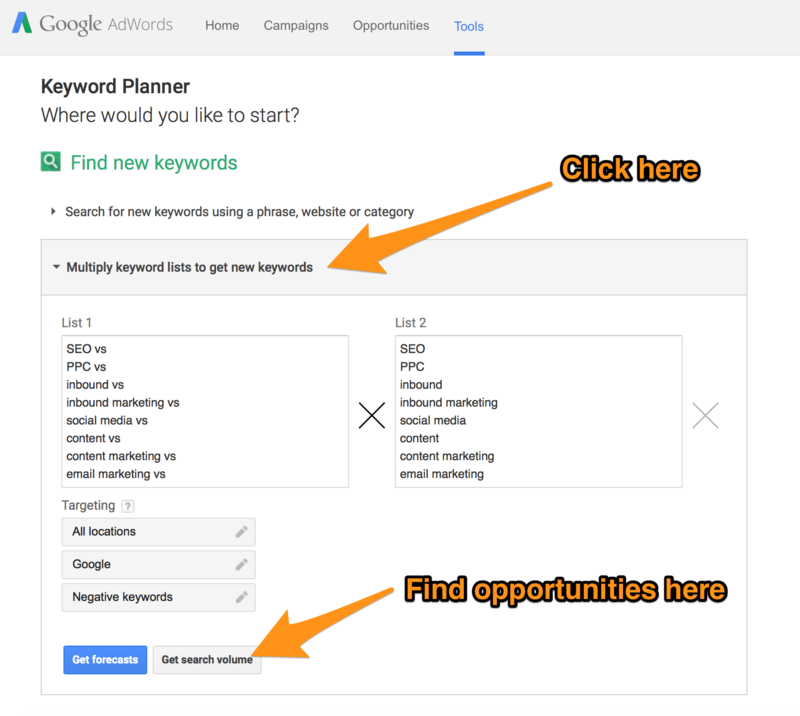 I recently talked about an underutilized tool within Google’s Keyword Planner, which is one of the best keyword research tools. 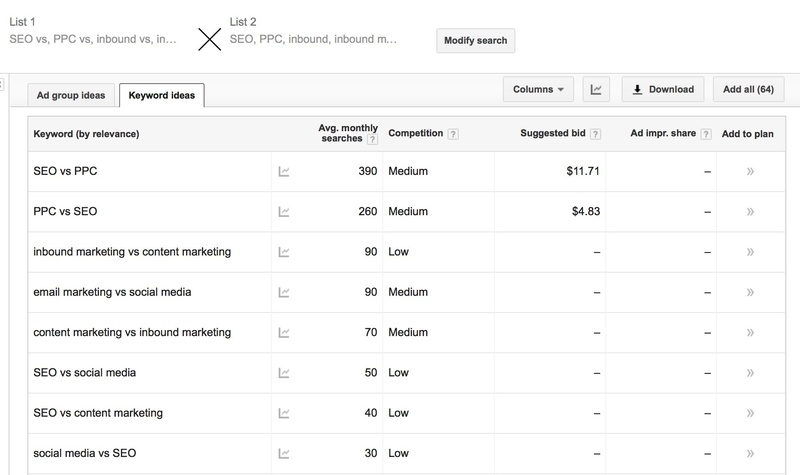 The tool gives you the ability to “multiply keyword lists to get new keywords.” You can put all of your ideas on both sides, and Google will cross reference each combination. Enter all of your brainstormed terms on one side with a “vs”* after each, and enter all the same terms on the other side without the “vs”. *A quick note on “vs”: It’s obviously grammatically correct to use a period after the “vs” (“vs.”), but people search without it. (We’re lazy.) Anyhow, I haven’t seen using a period or not impact search results. So I’d recommend doing your keyword research with the “vs” version, and writing your article with the “vs.” version. There you have it—a ton of good opportunities for blog articles. 1. We just recently wrote a post for Nectafy comparing HubSpot and Google Analytics, specifically about their reporting capabilities. 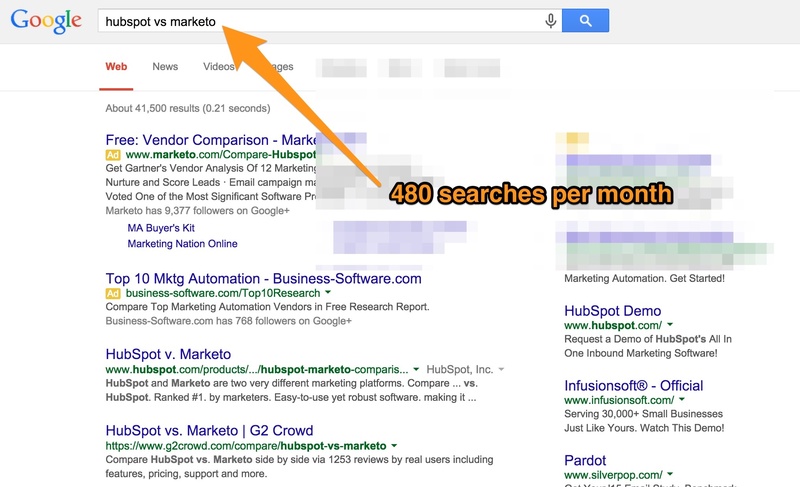 The phrase “Google Analytics vs HubSpot” only has 30 searches per month. But in just two months, we’ve received 500 organic visits and five leads directly from that article. That’s probably about 10 times greater than we should’ve received from that one keyword. From that article, we pick up all of these. On the whole, this article isn’t a home run, but it does mean we’re on pace for 3,000 new visits and 30 new leads each year just from this one blog post. If every post on your blog did that, I guarantee you’d be really excited. 2. We used this strategy for a client to find mixed results. With just one article, we’ve received 4,500 visits and 15 leads in 5 months. We rank in the top two results of Google for a few different phrases. That’s all been a success. Unfortunately, these leads haven’t been of great quality. We may have picked competitors that are too distant for these particular comparisons. We’re learning. 3. We compared wireless protocols for a technical client. We published five comparison posts between November 2014 and March 2015. These five posts have received a combined 15,000 visits. We’ve collected over 150 new leads directly from these articles. Bonus: A case study that’s not ours—a website called G2Crowd.com. At G2Crowd.com, users can post reviews for business software solutions. They automatically build pages that compare competing softwares, and rank for a ton of these “comparison keywords.” Compare any two softwares through Google and I can almost guarantee you’ll see G2Crowd at the top. I honestly feel like comparison keywords are a little niche in SEO that isn't completely saturated. It can work for websites at any level of authority. 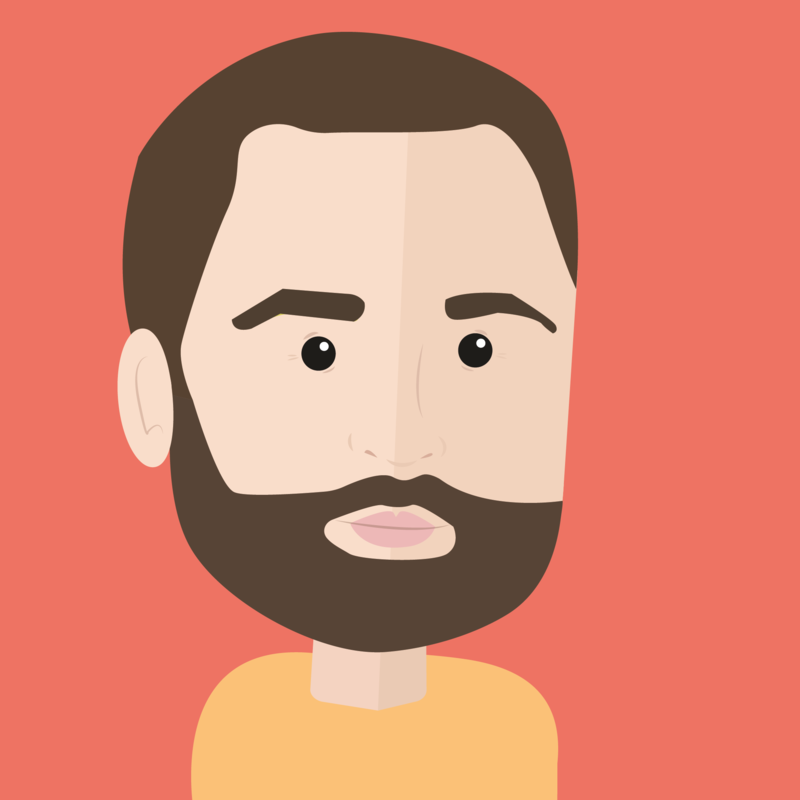 If you’d like some advice, let’s connect on Twitter @henryoloughlin.